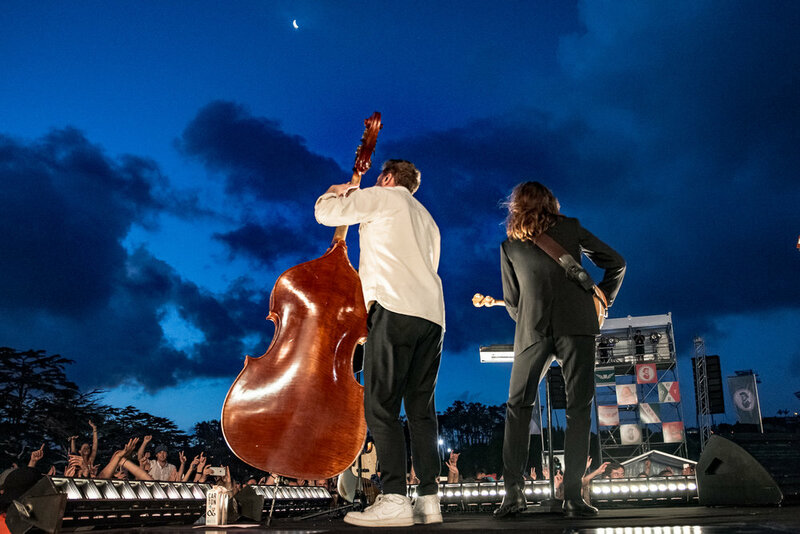 With festival season well under way in NZ, a balmy, hot Western Springs was the venue for the long overdue return of British, two-time Grammy award winners, Mumford & Sons. 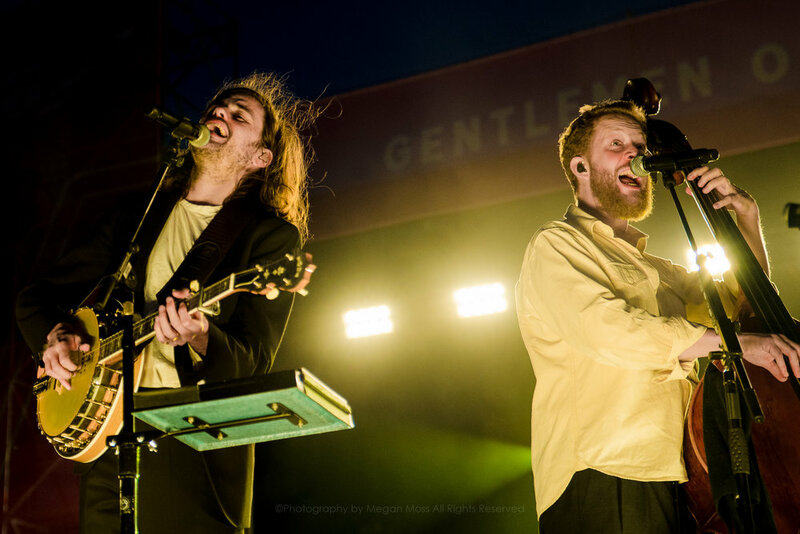 They headlined their self-curated Gentleman of the Road (GOTR) tour, the first since 2015. Timed with the release of their new album Delta (November 2018), Auckland marked the only kiwi destination on this cycle of GOTR. And weren’t we glad to catch them! Two gentlewomen kicked off the afternoon with the sultry tones of local lass Holly Fullbrook from Tiny Ruins, a last minute addition to the line-up, followed by the bold vocals and ear-catching guitar strums of Melburnian Angie McMahon, who seemed genuinely excited to be on kiwi soil and was looking forward to ‘exploring’ the next day. Michael Kiwanuka was the first gentleman to grace the stage, the Londoner, soul musician and songwriter, had a mesmerising intensity about his set which forced those of us who were previously lounging on the outer fields to stand and limber up our dancing feet. Modestly suggesting ‘You might know this one,’ he finished on an epic 10 minutes of Cold Little Heart, which serves as the opening theme for the HBO miniseries Big Little Lies. Libations required at this point, one wouldn’t have wanted to be too thirsty as the food and beverage queues were somewhat long albeit well organised. Thankfully we made it back just as Leon Bridges was kicking off his soulful and lively set accompanied by full band, backing singers, some funky dance moves and a pair of shades I was mildly envious of! As the sun set and temperature cooled Bridges definitely kept the crowd warm with his high energy and we were excitedly awaiting the final gentlemen we had all come to see! 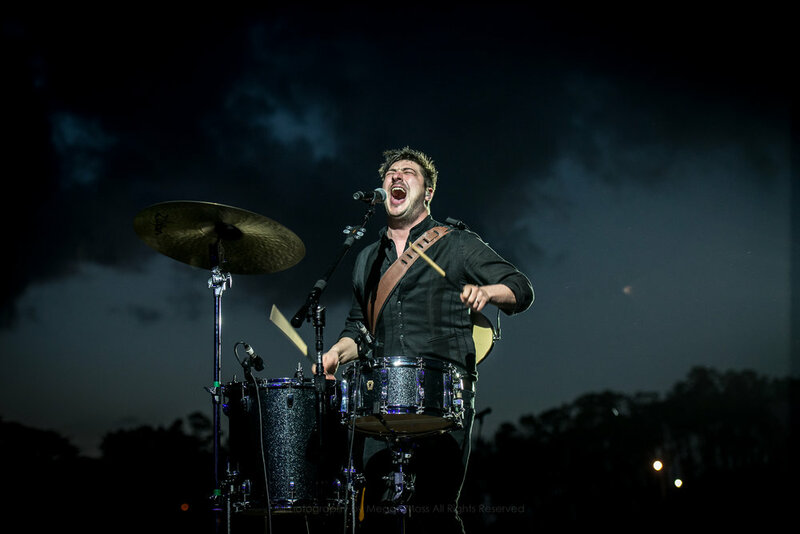 With the sun firmly down, rugs and camping chairs packed away around 9pm, Mumford and Sons entered the stage with no big entrance, a simple ‘Kia ora’ and leadman Marcus launched into 42 the first on their latest album, Delta. This was followed by Little Lion Man performed on the extended walkway and fair to say felt like the true opener as the crowd erupted into raucous chorus, with the therapeutic one liner “I really fucked it up this time” penetrating the airwaves. Babel and Lover of the Night followed before which Marcus noticed the Scream Machine ride in the foreground of the outer field stopping mid-intro to ask what it was and jokingly shouting, “What are you doing?! This is a hit!” Guiding Light was the next newer song to follow from the recent album. This oscillating between old and new, whilst demonstrating the sheer talent and musical abilities of the multi-instrumentalists in one sense, sometimes felt like we were at two different gigs. Of course, Marcus Mumford’s unmistakable voice featured almost flawlessly in every song but the newer synth, electronic and pop-centric rhythms demote them into a samey genre, a far cry from the tweed waist coated, bearded and bowtie blokes who arguably made folk music cool to a millennial/Gen X generation. Perhaps I’m just overly nostalgic for their captivating bluesy-folk and banjo solo sound and sure, the motley crew did not forget to play The Cave and Roll Away Your Stone, but then returned to the more experimental tracks of Ditmas and The Wolf from the Wilder Mind album. Case in point, Marcus disappeared off the stage into the crowd whilst still singing Ditmas and I found myself checking my watch and admiring the stars in the sky as I wondered what songs would feature for the encore. I was a happy camper again as Awake My Soul was first up for the encore. A classic from their debut Sigh No More album and the chorus was once again bellowed out by the crowd, affirmed by the epic one-liners we all know “You were made to meet your maker,” and “Where you invest your love, you invest your life.” I Will Wait followed with the same crowd-pleasing enthusiasm and then in somewhat predictable form the closing song was Delta, from Delta on the Delta Tour. That said, as we walked home I was chuffed that my first gig of 2019 was these talented and likeable lads and perhaps a New Year’s resolution should be to listen to their new sound with a more open-mind, even if my musical heart has been captured by their earlier years.